Bamboo is a great option for stairs. It presents a stylish, elegant look, is durable against high traffic and pet claws, and is easy to maintain. But you already know that because you’re here to learn how to install bamboo flooring on stairs! Like any DIY project, proper preparation can prevent mistakes and eliminate delays. 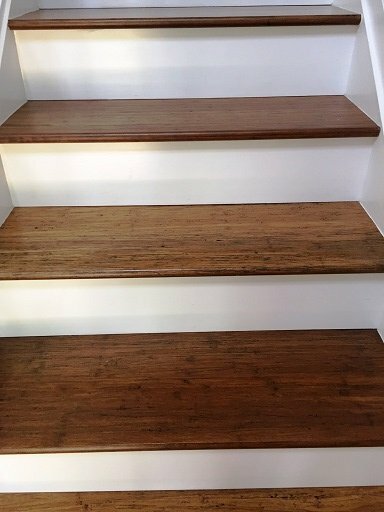 Before anything else, will you be installing ready-made treads or using bamboo flooring planks and stair noses to build your steps? Both will produce beautiful results. The difference? There’s less measuring, cutting, and nailing with ready-to-install treads. The last step of preparation is wipe downing and vacuuming the stairs. You don’t want to trap excess dirt and dust under your brand new bamboo! 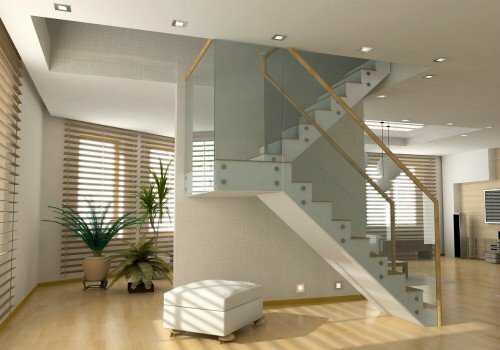 The most difficult part of installing bamboo flooring on stairs is the same as using any other material: measurement. *This isn’t an official rule. But it’s still good advice. Risers are the “back” of each step in a staircase. How you finish risers will change the look of the staircase. Common options are white paint or covering them with the same kind of flooring used on the treads, the part you step on. 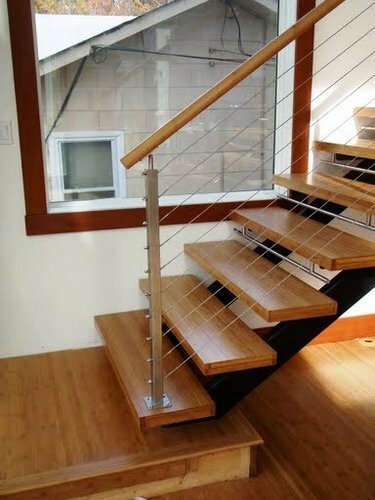 For bamboo risers, start the installation at the bottom of the staircase and work your way up. Cut the bamboo flooring to fit. Secure the new bamboo riser with the appropriate kind of glue and tack with finish nails. Repeat the process for each riser. 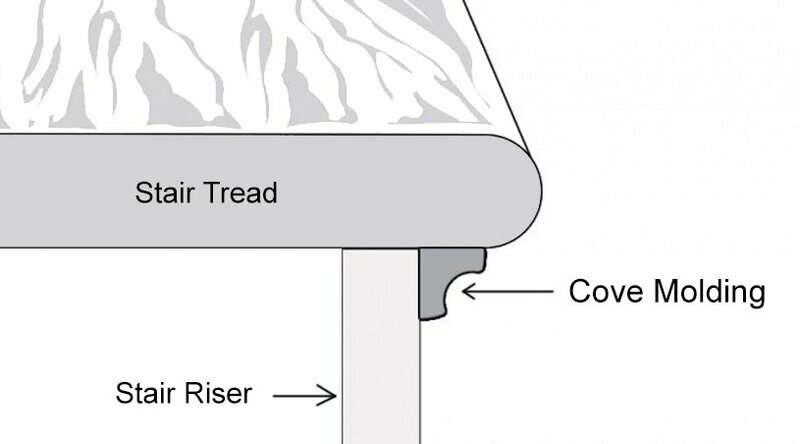 If you want to glue the tread, apply a non-water-based adhesive and set the tread in place. It’s advisable to lay a weight on top while the adhesive sets. To screw the tread in place, pre-drill holes in the tread then use wood screws to secure the tread. You can fill the holes with wood filler. 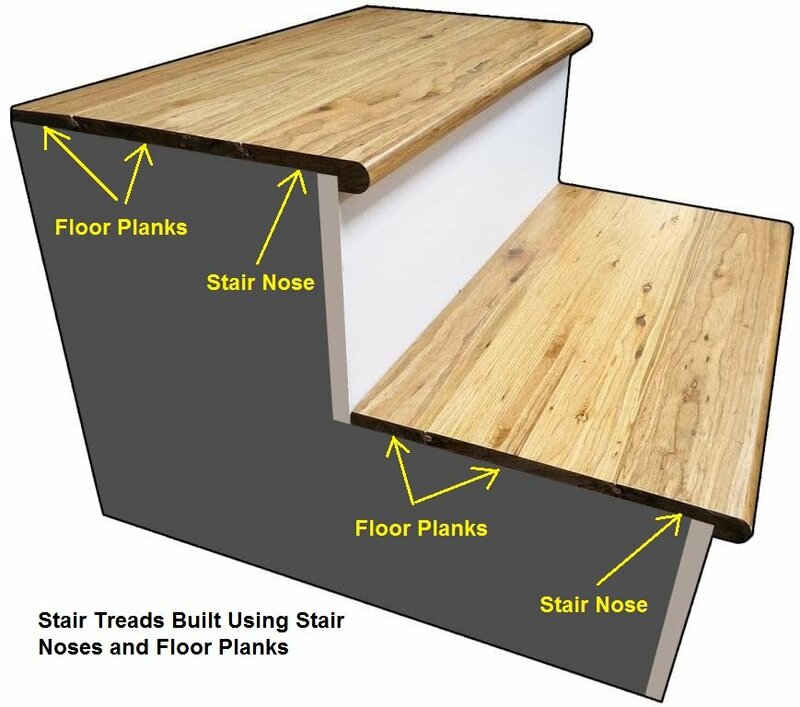 You can also use planks of bamboo flooring on stairs like in the diagram below. But adding a strip of beneath the nosing, against the riser can be an attractive finishing touch. Use finishing nails to keep it in place. floors or download our (PDF). And because bamboo is highly scratch-resistant, you damaging the stairs.